WOODLAKE – Comfortably hedging their bets, the City of Woodlake decided to buy some additional space for future expansion. During their Jan. 14 City Council meeting the Council voted in favor of purchasing a 22,400 square foot property at 321 N. Valencia Blvd. A house currently sits on the property but the lot is zoned for professional office. The City voted to buy up the available property just across the street from City Hall because land doesn’t come around every day. At least not so close to the hub of City administration. And had they chosen to wait to buy property when they needed it, chances are they would have paid high dollar. Waters added the location made the property particularly attractive. He said the City recognized they are landlocked with the post office and gas station flanking either side of the building. Woodlake bought the property with general fund money. In all the purchase was $210,000 plus all closing costs. But they are not interested in doing any official city business just yet. Waters said until funding becomes available to renovate the house to make it more suitable for their needs, they’ll be leasing it out for some general fund revenue. Woodlake administration have been struggling with space for years. Within the last year the City moved their council meetings to the newly built community center near City Hall. The move has now allowed them to renovate the former council chambers into three offices and an additional area for document storage. Waters says the lack of space has impacted everyone in the office. When he first arrived there was not an office for himself, which was later added on. Opposite of City administration the police department has been forced to maximize their space by forcing a desk cluster of four computers together, leaving employees to work in tight quarters. For both Woodlake PD and the administration, record retention is a large part of their spacing problem. 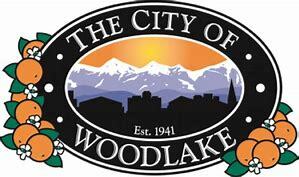 Woodlake’s police department uses seatrains to store much of their evidence while the administration is forced to keep hard copies of their files in house. “We keep the old files and then we add new ones but we don’t take any away. Hopefully changing the council chambers will help with that,” Waters said. But aside from storage, having a shared lobby poses some awkward circumstances for residents. Because of the lobby, residents use the same space to report a crime, while also paying their utility bills. Woodlake’s latest acquisition is not the only land they are leasing on the books. The City has been playing landlord to the Runway Café for years as they also own the small airport on the southern side of town.